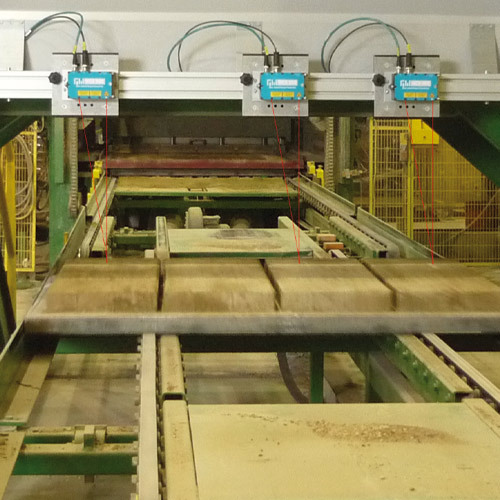 For the final inspection during the production of concrete blocks, a special test bench records the height of the blocks over a number of tracks. On each track, an optoNCDT 1750 laser sensor measure vertically on the conveyor belt. The blocks on the conveyor belt run through the sensor's laser beam.